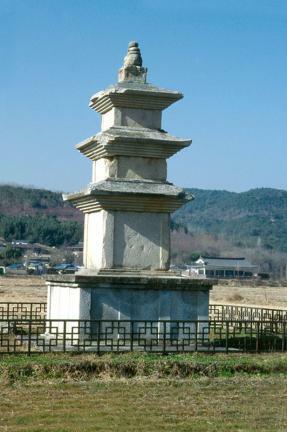 넓은 평지에 동·서로 서 있는 쌍탑으로, 무너져 있던 것을 1939년에 복원한 것이다. 두 탑 모두 2단의 기단(基壇) 위에 3층의 탑신(塔身)을 세운 양식이며 규모와 수법이 같다. 기단은 각 층마다 4면의 모서리와 가운데에 기둥 모양을 본떠 새겼는데, 가운데에는 2개씩의 조각을 두었다. 탑신의 각 몸돌과 지붕돌은 각각 한 돌로 이루어져 있다. 지붕돌 밑면의 받침은 층마다 5단이며, 처마선은 반듯하게 깎았는데 네 귀퉁이에서 약간씩 들려 있다. 3층 몸돌에서는 1939년 발굴조사를 할 때 한 면이 24㎝, 깊이가 15㎝인 사리를 두는 공간이 발견되었다. 탑 꼭대기의 머리장식은 서쪽 탑에만 일부만 남아 있을 뿐 동쪽 탑은 모두 없어 졌다. 아직 통일신라 석탑의 건실함을 잃지 않은 8세기 후반의 작품으로, 각 부의 비례가 알맞고 전체의 형태가 장중한 석탑이다. 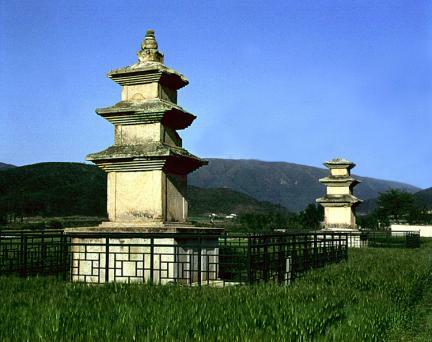 These twin pagodas, restored in 1939, stand on a wide plain to the east and west of Cheongun-dong, Gyeongju. 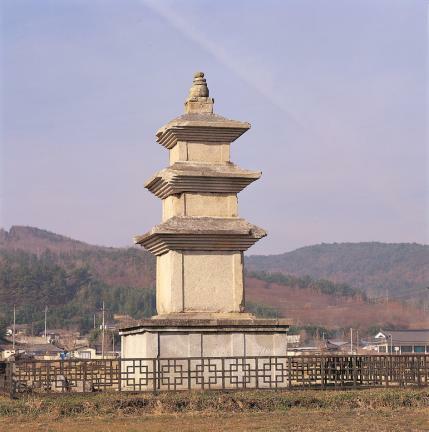 Each pagoda consists of a two-layer stylobate and a three-story main body of a similar size and style. 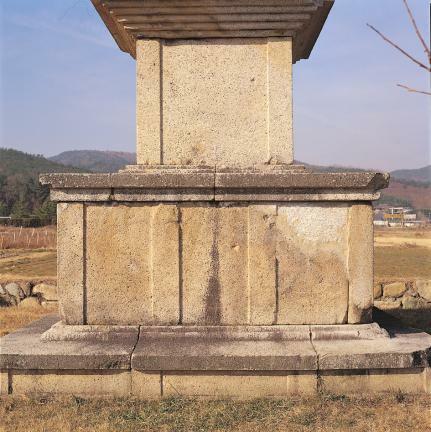 The corners and centers of each layer of the stylobate are engraved with pillar patterns; and each of the core and roof stones is hewn from a single stone. 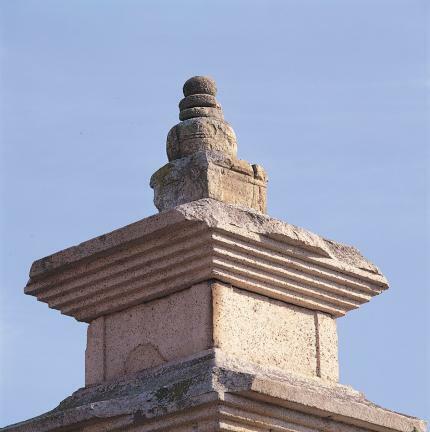 The roof stones have five-tiered cornices. 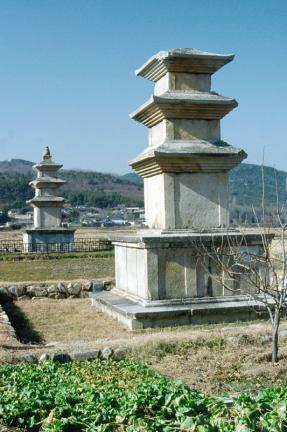 The eaves are straight but turn swiftly upward at their four corners. 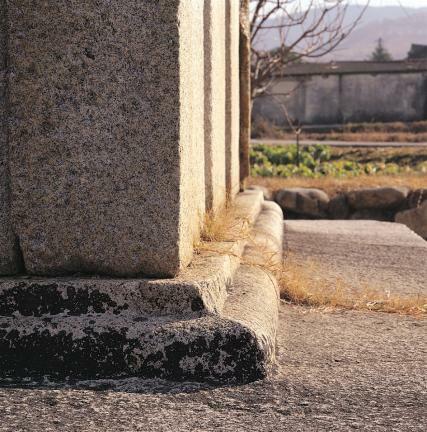 A space measuring 24cm in width and 15cm in depth, which was made to enshrine a sarira, was found in the core stone of the third story during excavation work conducted in 1939. 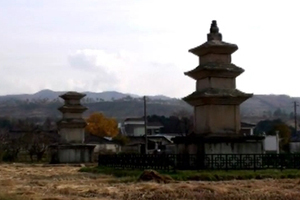 Only part of the finial of the West Pagoda remains, while the entire finial of the East Pagoda is missing. 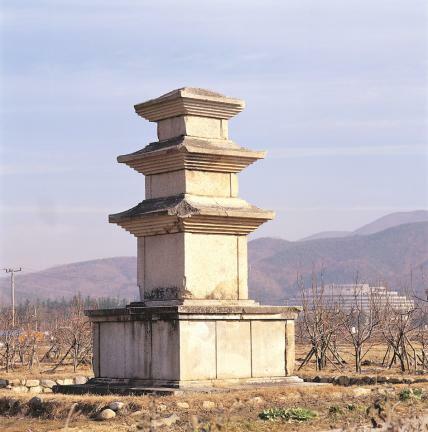 These two pagodas are a well-proportioned and magnificent work that epitomizes the sturdiness and stability of stone pagodas of the Unified Silla Dynasty in the late 8th century.